Lungu, Nchito, Illnesses the and the challenge of transparency | Elias Munshya, LL.M, MBA, M.DIV. The fact that events are identical does not necessarily mean that they are the same. This sounds rhetorical, doesn’t it? You cannot tell how the public will react to one thing by looking at the way they reacted when similar events happened. Similarly, you cannot predict the way the courts will rule simply because of the way they reacted a few years ago. Times do change and so do circumstances. In the changing of the circumstances, we must all praise the current President of our republic in the manner he has handled the affairs of his personal health. President Lungu collapsed on Sunday and was forthcoming about it. He did not try to conceal and neither did he run away “ku bwendo” to hide himself. He instead invited the press, the cameras and the columnists to answer their questions by his hospital bedside. What is really remarkable about that interview at Maina Soko Military Hospital is that the president identified with the concerns of the common man by expressing his desire to go “back home after the doctors release” him. We should all commend His Excellency for that. It only takes a few years for one to know that sickness and human frailty are a reality of human existence. Humans are mortal and they have time attached to their existence. Humans get sick and might need surgery and medical attention. As such, Zambians are concerned not by the leader getting sick, but rather by the secrecy that previously characterized presidential illnesses. When President Mwanawasa was obviously incapacitated in London, the then Vice-President Lupando Mwape Katoloshi quipped that Levy was healthy and was in fact “jogging in London”. Mr. Katoloshi’s answer infuriated then opposition leader Michael Chilufya Sata who asserted that “ubu lwele bwa Mfumu litensha chalo”. In 2013, when it became all but obvious that President Sata was clearly incapacitated, Zambians were met by the insolence of silence and the harm of denial. The official State House George Chellah line was deny, deny and then deny some more. Such behavior was barbaric. Mr. Brebner Changala went to the extent of asking the cabinet and the courts to try and have a tribunal constituted to probe the health status of the then president. This was completely unnecessary had State House been more transparent and forthcoming about the condition of the late president. But all these good efforts were recompensed by repeated spite and injury. Indeed, for those who followed the illnesses of the late president, we were more concerned at the unrealistic denials than we were at the fact that President Sata was in fact sick. We all knew that on this side of heaven, we are all mortals on a pilgrimage. That being the case, the head of state and those close to him must be more forthcoming by opening up about illness and the course of treatment being followed. It was ridiculously foolish to parade a sick man and cover that injury with plastic smiles. This is the more reason why when the widow wanted to succeed her late husband questions were asked, about that huge smirk in parliament. Again, we must commend Lungu for giving us information straightforward and for showing “ipompo” on his forehead coming from his alleged collapse. We also must commend him for releasing data quickly about what doctors suspected to have been the cause of the health scare: malaria, fatigue or most probably achalasia. This achalasia we are told is a recurring medical condition that was treated thirty years ago. Lungu’s actions inspire confidence, and I have no doubt that if he were to become incapacitated he would be willing to give up power. Shortly before leaving for Johannesburg for medical tests and treatment, President Lungu suspended Mr. Mutembo Nchito the Director of Public Prosecutions. 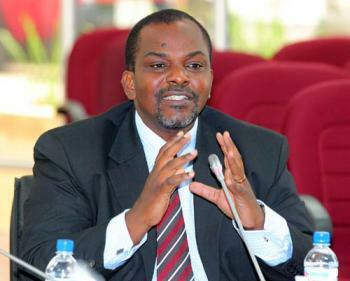 For his part, Bo Mutembo was swift to obtain “an injunction”, or is it a “stay”, against the tribunal. In his mind Bo Mutembo is probably thinking that this tribunal should be stopped just like judges Mutuna and Kajimanga succeeded in stopping the Chikopa tribunal. We await how Judge Chitabo will handle this matter when it comes up for inter-partes hearing on March 23, but my gut feeling is that Bo Mutembo will not get away that easily. The case of the judges is quite different from the present case. I know there are some people who are trying to fault Judge Chitabo. The judge is just trying to do his job. Ultimately though, justice will prevail and Bo Mutembo will have to account to the people of Zambia about his alleged criminal activities. Nchito was ever so zealous to prosecute others, but when the time comes for him, he wants to stop his prosecution by any means possible. Well, it will not work this time around. Without the bombasa of a nolle prosequi, Bo Mutembo should be prepared to appear before Justices Silungwe, Ngulube and Chirwa as they probe his conduct as a DPP. Crime does not pay and neither does bombasa. It is good to be proud of your station in life and enjoy the little you have with joy than try to live large on the basis of theft, arrogance and pride. A humble lawyer’s chamber with joy is so much more desirable than running an airline with alleged stolen dough. It is a pity that a man credited with a fight against corruption has himself found himself in a wave of a very complicated matrices of plunder aimed at shielding himself, his friends and the infamous cartel. The law is finally catching up with him like it has always done with the many others. 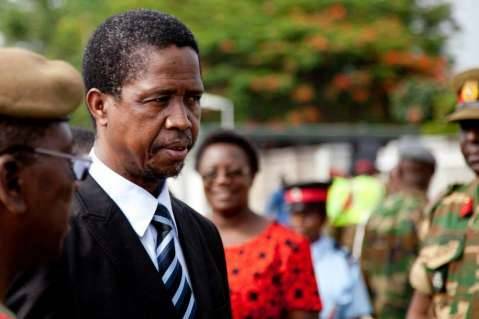 For now, however, we wish President Lungu a quick recovery and may God help restore his health. Leading this nation might mean making very difficult decisions such as the one to do with suspending Nchito. He had to be suspended though, with achalasia or not. Nah, Lungu knew exactly what he was doing when the collapsing episode happened. This is not the first time according to some report that I cannot make reference to. He is a diabetic and a very careless one. If he cannot manage his chronic condition, how do you then trust him with the country. The little drama of going to Maina Soko hospital was strategic to sustain the image that he is like us. It worked and a good one for the campaigns. He is s smart general and I will give him that. Maina Soko diagnosed malaria and fatigue. A moment later, it was a condition that goes back thirty years….what? He knew and knows his condition. This idea of gaining sympathy votes is just insane. As for the attempt to arrest the DPP, why did he create a circus instead of coming up with a tribunal in the first place?